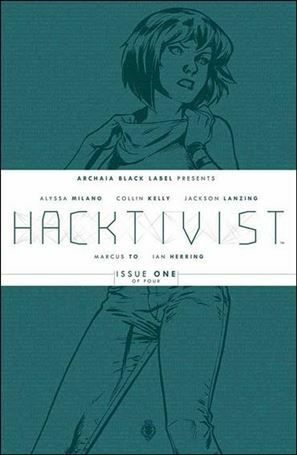 Alyssa Milano’s 2014 graphic novel Hacktivist is heading to the small screen. The CW is developing a drama series adaptation of fast-paced cyber-thriller from the former Mistresses star, Covert Affairs creators/executive producers Matt Corman and Chris Ord, BOOM! Studios and CBS TV Studios. Written by Corman and Ord, Hacktivist tells the story of Nate Graft and Ed Hiccox, two twentysomething best friends and co-founders of the most important social networking company in the world, who are recruited to work secretly for the CIA to bring about global social change. Using their fame and access as cover, and their technical prowess as a tool, Nate & Ed pull off risky missions, both foreign and domestic. But the arrangement is not without perils — Nate & Ed’s thirst for information freedom runs deep, begging the question, can the CIA trust them? And, more importantly, can Nate & Ed trust the CIA? Milano, Corman and Ord executive produce alongside Ross Richie & Stephen Christy of BOOM! Studios. BOOM!’s Josh Levy co-executive produces. There are no current plans for Milano to act. Created by Milano and published by BOOM! 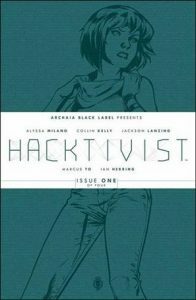 imprint Archaia, the Hacktivist graphic novel series was written by Jackson Lanzing and Collin Kelly (DC’s Batman: Eternal) and illustrated by Marcus To (Boom!’s Joyride). The well-reviewed series has released two volumes to date. BOOM!, which controls the largest library of comic book IP outside of Marvel and DC, is in production on supernatural thriller The Empty Man, the first feature film to come from the publisher’s first-look pact with 20th Century Fox. This marks Corman & Ord’s return to the CW where they served as executive producers and co-showrunners on drama Containment last season. Before that, they created and ran USA’s spy thriller Covert Affairs for five seasons.